When our kids were little we had a little popup tent camping trailer. It was pretty cool – we would keep it loaded with all the stuff we would need for the weekend. 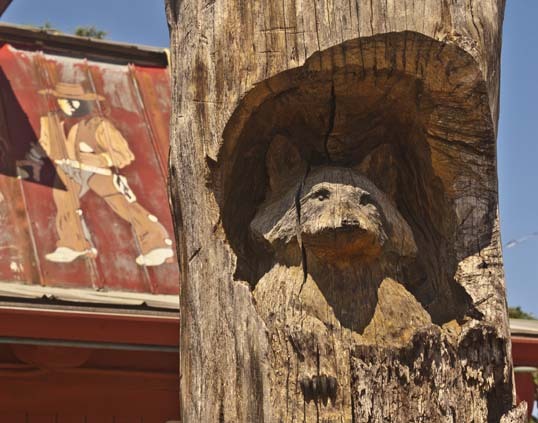 All we would have to do is buy some food and head out to one of the wide selection of Texas State Parks within a few hours drive of the Dallas Fort Worth Metroplex. It was worth it even for a single night – we could go to a soccer game on Saturday morning and be in the woods for Saturday night. It was a good thing… until the trailer was stolen from in back of our house… but that’s another story. 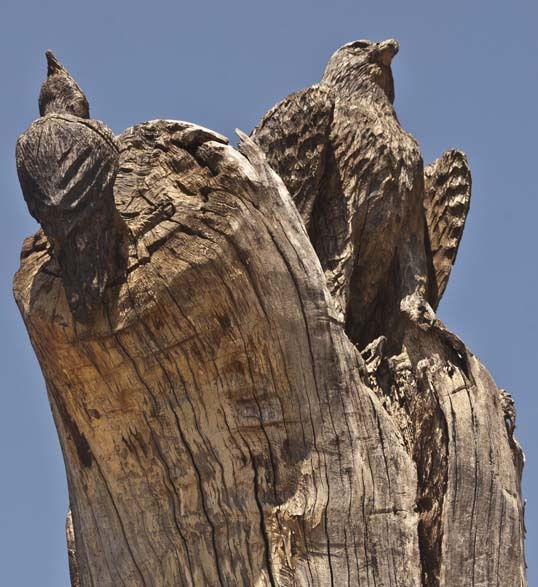 One of the places we would go was Tyler State Park – outside of the eponymous East Texas City. It was a large park – held a lot of people in a whole series of camping areas around a resplendent sylvan lake. When we drove to and from we would pass a Bar-B-Q restaurant off the exit from Interstate 20. It always looked delicious and the associated smoke smelled even more so. But in keeping with the whole camping thing we never visited. That was many years ago but I remember it. On our last trip to New Orleans (for Lee’s Tulane Graduation) we left early in the morning, but not too early. 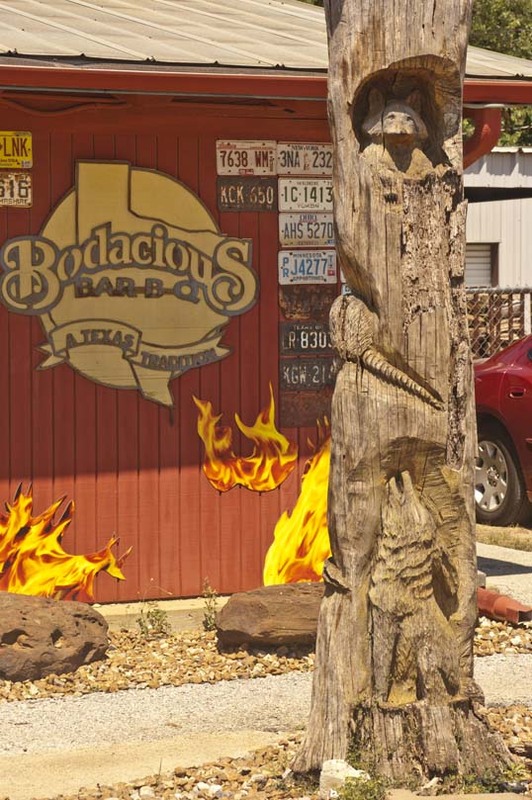 We would be going past Tyler right at lunch time – and I decided to finally try out Bodacious Bar-B-Q. There are four major types of Bar-B-Que – Kansas City, Memphis, Carolina, and Texas. 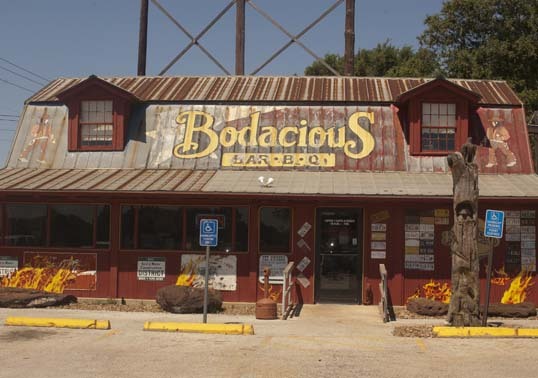 Bodacious is, of course, Texas. Texas BBQ is actually a dry, slow cook – with most sauce added after. The food was great, of course. The place was exactly like you would expect – a little dusty, a little cluttered, a lot of local workers on their lunch hour. And then it was time to get back on the road. This entry was posted in Food and tagged barbeque, bbq, beef, memories, Photography, Texas, travel, tyler. Bookmark the permalink.